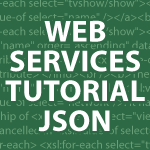 In my web services tutorial I will cover generating JSON and XML. We’ll then walk through examples in which we use REST, SOAP and RPC (Remote Procedure Calls). To finish off everything, I’ll then create a translation web service that can translate into 10 different languages. You may also be interested in my Learn PHP in 30 minutes, Learn MySQL in 30 minutes and PHP MySQL video tutorial. Web Services Tutorial : Here I’ll focus on how JSON is structured and demonstrate how to pull data from MySQL and then generate and decode JSON using PHP. Web Services Tutorial 2 : In this part of my web services tutorial I cover 2 ways to create XML from a database. I then show a simple example on how Remote Procedure Calls work. Web Services Tutorial 3 : In this part of my web services tutorial, I provide both a non-WSDL SOAP server and a REST Web Service Example program. The goal is to keep everything simple and easy to understand because many people are confused by both. I decided to focus on just the GET method with REST because it is most commonly used. Web Services Tutorial 4 : I start building a common request being a Translation Web Service. This will allow you to translate into up to 44 different languages. I also cover how to use UTF-8 encoding with MySQL and PHP. In this video I set up the database and create all of the functions we will eventually use with our web service. Web Services Tutorial 5 : In this tutorial I’ll finish the web service. I also fix a few errors that come up. By the end of the video we’ll be able to pass words through a URL and receive the translation in many different languages. Web Services Tutorial 6 : In this tutorial I complete my Translation Web Service Example. This is a transliteration web service in which it directly translates from one word to another.